Blackhill Engineering recently won a contract to provide subcontract machining to one of the country’s leading specialist stainless steel fabrication companies. 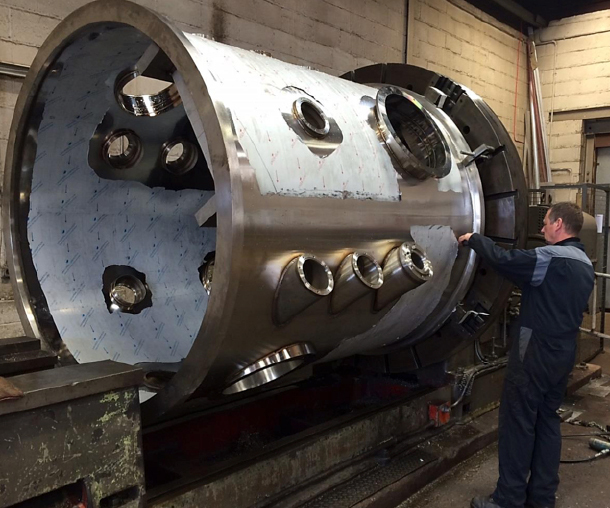 The job required high precision machining on large diameter fabricated, double skin tube sections. These sections are required to be fitted together and to withstand extreme temperatures and pressures to cope with material processing that is carried out in a controlled environment. Blackhill Engineering completed the machining and then supported the customer through to the components entering service. We are expecting that we will be able to repeat this work in the near future.